As little as two per cent of the price of a piece of clothing sold in Australia makes it into the pocket of the worker who made it, according to a new Oxfam report released today. 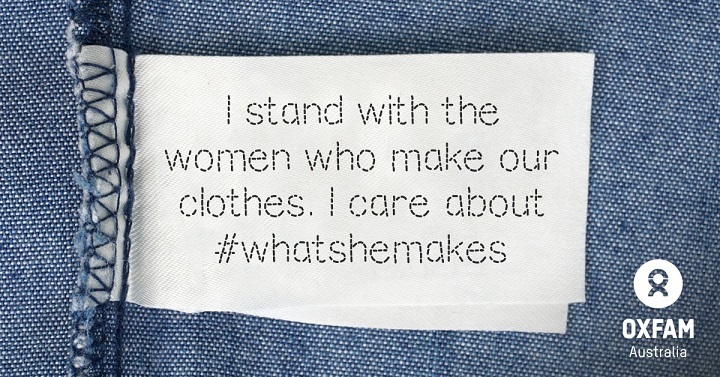 The report, What She Makes, shows that while many leading and iconic Australian fashion brands are enjoying increases in revenue, the workers making our clothes – the vast majority of whom are women – are trapped in a cycle of poverty. “The women making the clothes Australians love and wear are being denied decent lives by being paid poverty wages and are unable to afford even the basics no matter how hard they work,” Oxfam Australia Chief Executive Helen Szoke said. The report includes new research, conducted for Oxfam by Deloitte Access Economics, which shows that on average, just four per cent of the price of a piece of clothing sold in Australia goes toward workers’ wages in garment factories across the globe. 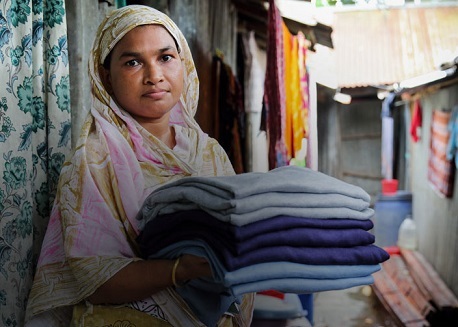 The research – the first of its kind in Australia – shows a dire situation in Bangladesh, where wages are extremely low and on average, just two per cent of the price of an item of clothing sold in Australia goes to the wages of factory workers. Oxfam’s report argues that it is possible for big brands to pay living wages – wages earned in a standard week that cover essential needs including food, housing, healthcare, clothing, transport, education, and some money for unexpected events. “With the profits being made by the factory owners, wholesalers and retailers of the fashion industry, Oxfam says it is more than possible for the cost of paying living wages to be absorbed in supply chains. Dr Szoke said Oxfam was calling on the companies behind Australian fashion brands to commit to paying a living wage to factory workers in their supply chains – and to publishing a step-by-step strategy outlining how this would be achieved over six years. Alongside the report, Oxfam has released a live company tracker to publicly monitor Australia’s leading fashion retailers – brands such as Kmart, Big W, Bonds, Cotton On and Just Jeans – and their progress on paying living wages.